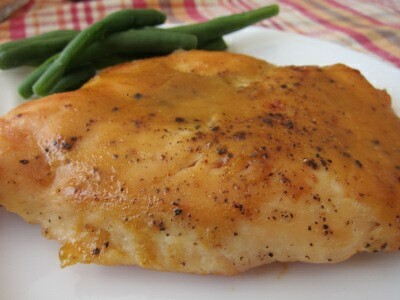 Place the chicken in a 9×13 dish and bake at 450 for 30 minutes (or until it’s 165 degrees). During the last 5 minutes brush the meat several times with the honey mustard sauce. Serve this with green beans and scalloped potatoes.